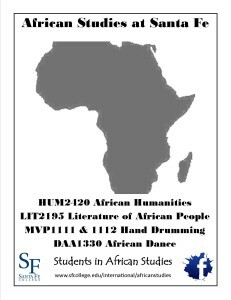 Academic associations can provide students and faculty with a wide range of resources in African Studies. Joining an association is a great way to network with other students and faculty through online and social interaction, and they help scholars and students stay abreast of new activities, research and directions in African Studies. 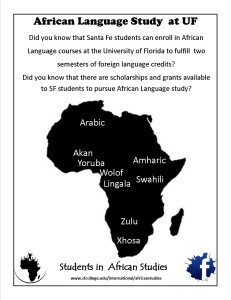 Saints in African Studies is a coalition of students and faculty at Santa Fe that are interested in pursuing African Studies or have a general interest in African Culture. 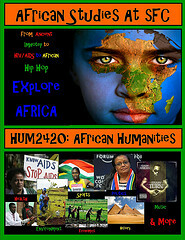 African Studies Association ‘encourages the production and dissemination of knowledge about Africa, past and present … members include scholars, students, teachers, activists, development professionals, policymakers and donors.’ The ASA hosts an international conference, and publishes two highly regarded journals African Studies Review and History in Africa. The Association for the Study of the Middle East and Africa is a non-partisan, non-profit organization that promotes the highest standards of academic research and teaching in the fields of Middle Eastern and African studies and related disciplines through programs, publications, and services that support its members and the international community of scholars and interested members of the public. The American Institute for Maghrib Studies is a private, non-profit organization that works to facilitate research in North Africa and the free exchange of information between American and North African scholars. AIMS sponsors the Journal of North African Studies, provides grants for research in the Maghrib, hosts an annual conference and dissertation workshop, and supports the Critical Language Scholarship Program (CLS). The Arts Council of the African Studies Association was established in 1982 as an independent non-profit professional association affiliated with the African Studies Association (ASA) in the United States. The organization exists to facilitate communication among scholars, teachers, artists, museum specialists and all others interested in the arts of Africa and the African Diaspora. Its goals are to promote greater understanding of African material and expressive culture in all its many forms, and to encourage contact and collaboration with African and Diaspora artists and scholars. 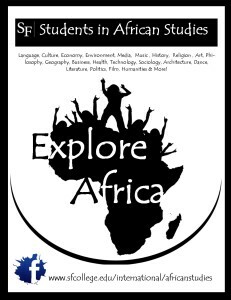 H-Africa is an electronic discussion group that covers African history, culture, politics, environment and a wealth of other topics. Reviewers for H-Africa provide substantial reviews of scholarly books on Africa. H-Africa is also the gateway to book, film and web reviews from other networks. The West African Research Association (WARA) was founded in 1989 for the purpose of promoting scholarly exchange and collaboration between American and West African researchers. Its stated objectives include: providing U.S. and West African scholars access to research resources and expanded research opportunities; supporting collaborative research efforts, conferences and projects; and fostering interest in international affairs and careers among American graduate students. The Cultural Arts Coalition is a not-for-profit organization that developed as an outgrowth of the Annual Fifth Avenue Arts Festival, an annual celebration of African and African-American culture. The organization hosts Kwanzaa celebrations, volunteers in public schools, and produces community exhibits, puzzles, calendars, workshops and newsletters. The annual art festival takes place on the weekend of Malcolm X’s birthday and includes music, art and food.